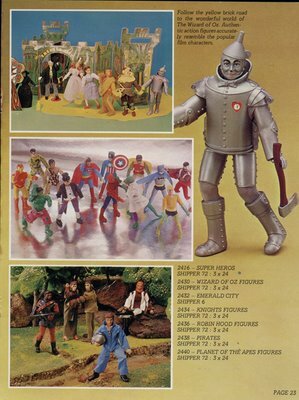 The US based Mego Corp had a wonderful knack of making successful action figure lines in the 70’s, either by gambling on the popularity of old properties like the Wizard of Oz, or trusting in semi-current ones like Planet of the Apes or Star Trek. Australia received these wonderful toys thanks once again to the good folks at Toltoys, who imported them as soon as they were released, only slowing the delivery slightly to haphazardly apply a Toltoys sticker to each box. 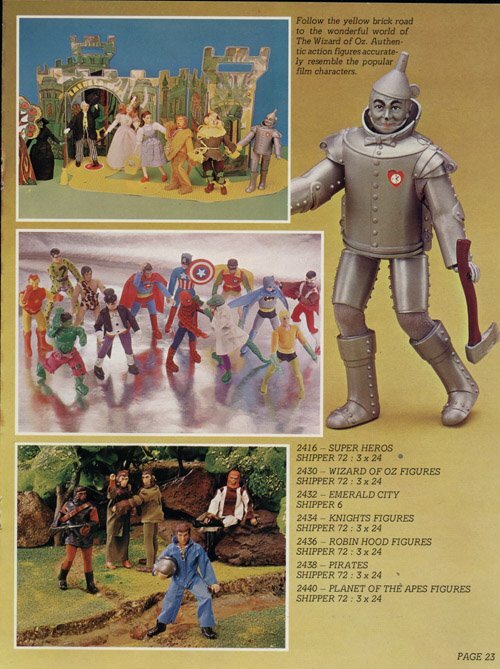 They did spend some time on setting up elaborate dioramas for the dealer catalougue though, check out the scans below kindly provided by Brian Heiler over at the Foreign Mego Archive. Recently a Mego Zorro popped up on Aussie Ebay too, is it a Palitoy release or was there a Toltoys one? The great thing about collecting in Australia is that you never know what will turn up next. I’ll be talking about GI Joe and Action Man in future posts, I think we were unique in the world in that both lines were marketed here simultaneously, causing huge headaches for today’s collectors when trying to ID parts all mixed in together when you pick up a big lot. 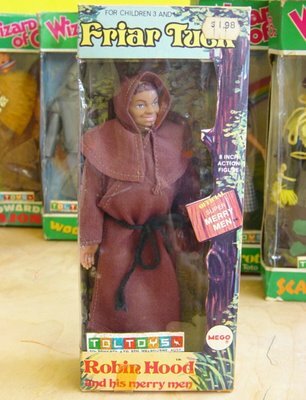 Toltoys either lost the distribution rights at a certain point or just gave up rebranding Mego items with their own stickers, because the majority of Mego items that turn up boxed here don’t have Toltoys stickers. I’ve seen boxed Super Heroes, Fist Fighters, Merry Men, Pirates, Knights and Wizard of Oz with the sticker. Possibly Toltoys lost the Mego distribution rights to Kenbrite (see my Playmobil entry a few posts back) as the Muhammad Ali figures in Australia came in fully branded Kenbrite Boxes. 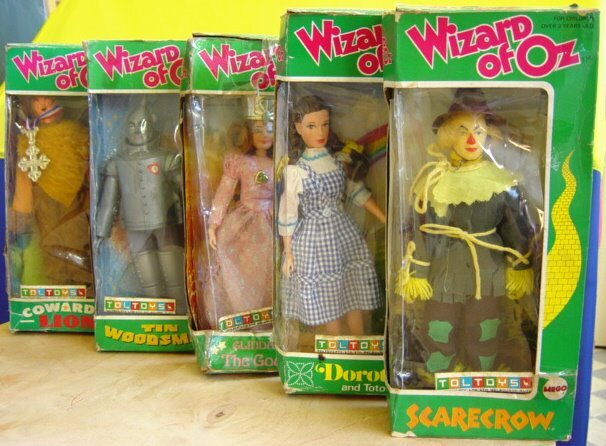 Perhaps each line was independently offered and therefore available to other distributors if Toltoys passed. I never had my own Megos as a kid, but well remember the pre-loved Spidey and Kirk my brother passed on to me, the incredible articulation allowing them to fall prey to all manner of beatings by the larger scale Adventure Team GI Joes! Hopefully I’ll be able to feature some more Aussie Mego items in the near future, as things seem to pop up all the time down here!